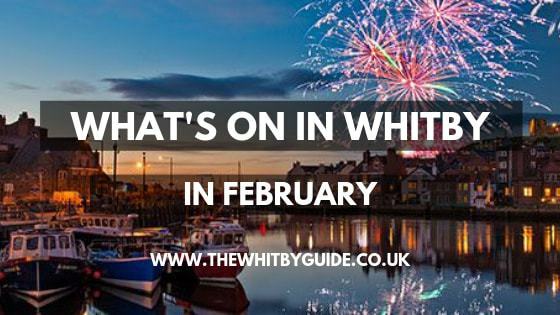 So you’re looking for exciting things to do and see in Whitby and the surrounding areas in February? Well, have we got a jam-packed list of suggestions for you! There’s walking, cycling, eating, wildlife watching, film screenings, and much, much more. Something for everyone so read on and take your pick. However, North Yorkshire has far more to offer in February than just Valentines day treats. There’s also the Dark Skies Festival, of which we will cover some events later, and much, much more. The Dark Skies Festival is an annual event run by the National Parks that celebrates and educates on our marvellous night skies. Our first suggestion of what’s on in February comes from this. Did you know that the stars affect you and the forest every day? No, well they do, and you can find out why by participating in the ‘Why stars matter trail’ in the Dalby forest! This 0.5-mile walk starts at the Dalby Forest Visitor Centre and will educate and amaze you with its information about the night skies. There are also activities along the way for all the family and that includes well-behaved dogs! If you love photography then you shouldn’t miss out on this wonderful evening hosted by local photographer Richard Burdon. On it you will learn how to shoot stunning images of Whitby and its sights at night. The Night Time Photography Workshop lasts for approximately three hours and visits some highly interesting places in the harbour and old town. It is not suitable for children. This one is for all those adrenaline junkies out there! Fly through the night sky in an uninterrupted plunge through the night sky of Dalby Forest. Of course, you will be strapped in safely to a zip wire and will have the pleasure of making the journey twice. There is no finer tradition than having fish and chips whilst sitting in the harbour of Whitby. That is if you can avoid the cheeky seagulls who wish to share! But how about eating this seaside staple in more refined surroundings whilst still enjoying the sea views? The HM Bark Endeavour Experience is offering you exactly this for one night only in February! You will enjoy a fine selection of seafood and side dishes on the deck of this mighty ship. This will be followed by a fine fish dish including the choice of fish and chips accompanied by a bottle of Prosecco. It’s a night of fish and fizz! Part of the Dark Skies Festival, Our place in the universe is an engaging talk on astronomy and the night sky being held at Castle Howard. It is hosted by Dr. Tim O’Brien of the University of Manchester who will also answer all your questions afterward. This event is suitable for those who have a general interest or a keen interest in astronomy but perhaps not for children. Admission cost includes refreshments throughout. If you’re looking for a fabulous night out with family and friends, you won’t go far wrong with the ‘Owl Prowl Evening’. This is an event hosted by the National Centre For Birds Of Prey at Helmsley and part of the Dark Skies Festival. On this magical evening, you will be given a guided tour of the centres owls by torchlight, witness a flying demo of the tiny owls in candlelight, and watch the large owls fly freely in the darkness above you. Warm clothing is advised for this event although you will also receive mulled wine or spiced apple juice to warm your cockles. Suitable for children over eight. If you fancy something a little different in February, why not attend the Gaze and Graze at The Farmhouse in Goathland? This will be a fabulous evening full of stargazing and feasting to remember in an area that provides spectacular views on clear nights. On this evening you will enjoy an outdoor dinner of stew and steamed puddings whilst wrapped up in blankets and sheepskins sat beside glowing fire pits. After dinner, you will be given a talk by astronomer Richard Dams who will talk you through the sights you are seeing. These include the milky way, galaxies and fabulous shooting stars. You will also have a chance to have an informal chat with Richard Dams after hot toddies and roasted marshmallows. Robin Hood’s Bay is undoubtedly a gorgeous village with a rich plethora of history including tales of smuggling, fishing, and ghostly goings on. And what better way to explore all that than to participate in one of the villages famous ghost walks. On the Robin Hood’s Bay ghost walk you will creep down narrow streets and meander in its ancient alleyways. You will also hear tales of smuggling, shipwrecks, ghosts, ghouls, and the supernatural. Light pollution is becoming a huge problem in the environments we have created for ourselves today. Saving the Dark is a film that explores this and helps us learn how we can preserve our night skies. It is not to be missed and suitable for all ages. For those of you out there who like a challenge, the True Grit event is ideal. This is a cycle ride with a difference starting at Newburgh Priory and lasting for 50 miles through the forest, moorland, and private land. What’s more, it goes on through the night, cycling under dark skies. The Whitby Steampunk Weekend takes place twice a year in Whitby and is hugely popular. For those unfamiliar with it, it is a gathering of like-minded people who enjoy an aesthetic based on a mixture of science fiction, the 19th century, and the Victorian era. At this event, you will find over 30 friendly and colourful merchandise stalls selling everything from artisan and bespoke Steam punk to alternative and unique gothic products. There is also a fabulous musical and entertainment program. Every February the grounds of Burton Agnes Hall become covered in millions of gorgeous snowdrops making for a breathtaking display that you must see. Wrap up warm though as the weather may not be as beautiful as the flowers! Should you be really chilly you can nip to the courtyard where they will be serving hot drinks and homemade treats! 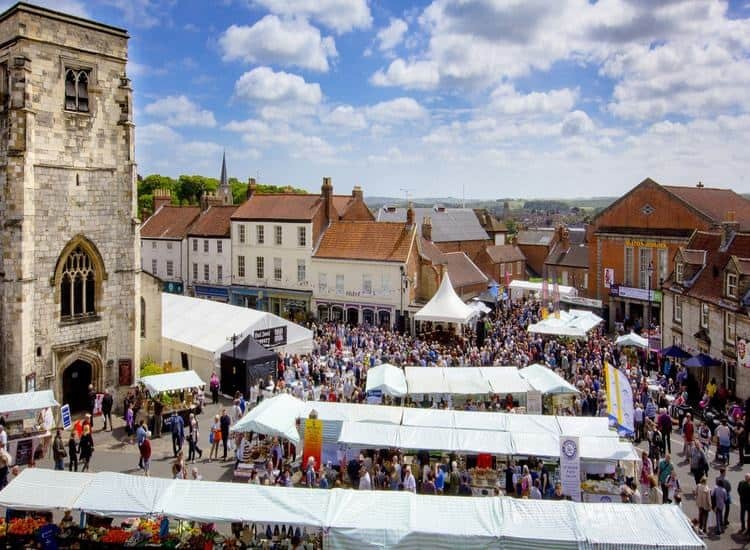 The Malton Food Market is one of the most renowned in the whole of Yorkshire and it is no wonder. For here you will find over 35 food stalls all selling local and fresh produce. It is highly esteemed by local foodies, chefs, and keen amateur cooks alike. As well as buying food to cook, you can also treat yourself to a little street food whilst you’re there, and listen to chefs demos. Loving these activities? Save and pin it!